Step inside. See for yourself. Designed by world-renowned architect Ricardo Bofill, W Barcelona sets the scene for a spectacular stay. 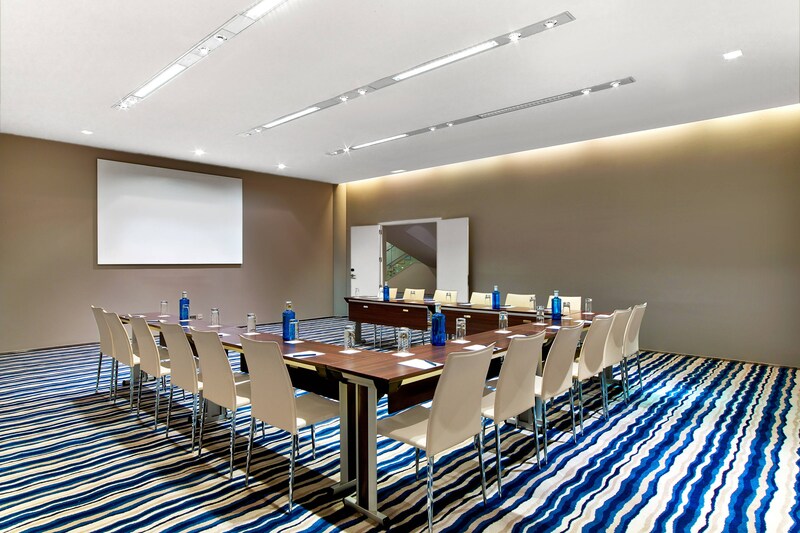 W Barcelona offers a combination of luxury and comfort in each of its 473 fabulous guestrooms and suites. 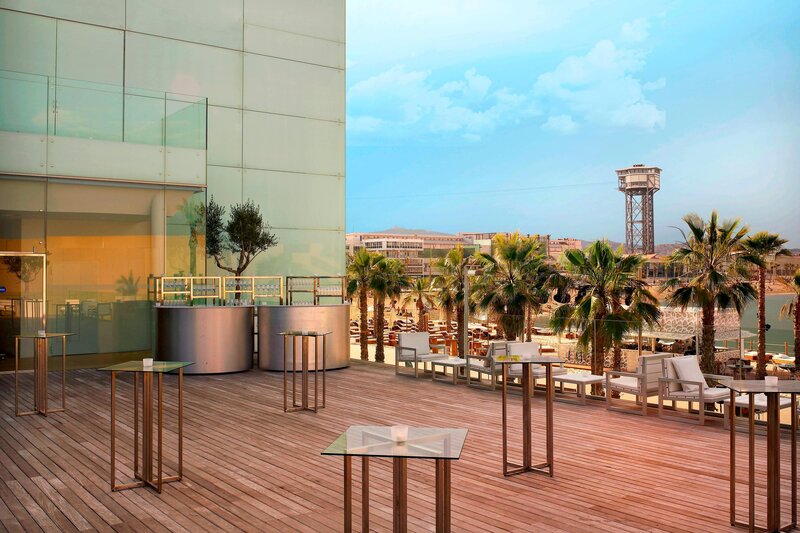 This 5-star hotel is located on the beachfront along the famous Barceloneta Boardwalk. 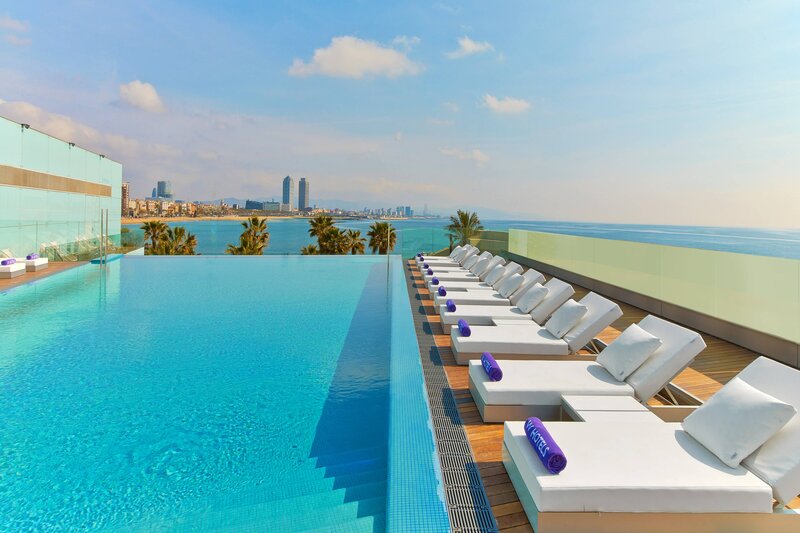 Each guestroom and suite provides panoramic views over the Mediterranean Sea and the city of Barcelona. 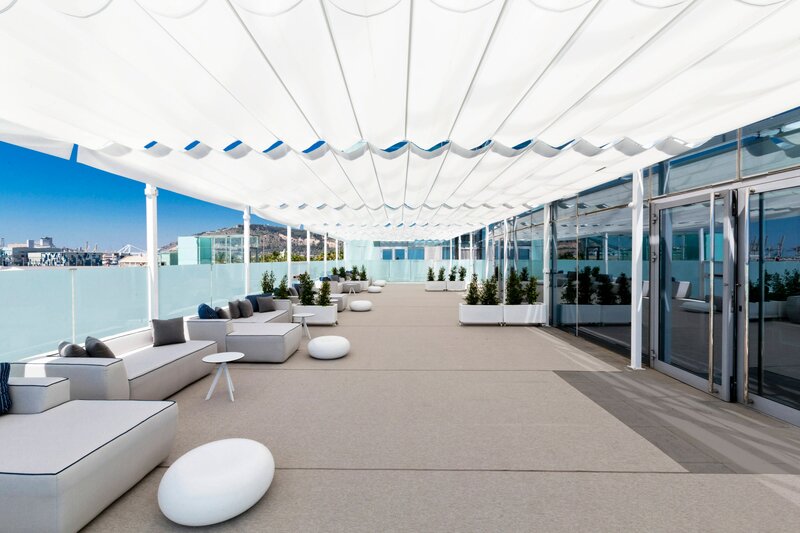 Get glamorous on our 26th-floor hotspot, at the ECLIPSE rooftop bar or make your way down to our signature Living Room to find WAVE & the W LOUNGE for a cocktail (or two). Take a dip at our WET pool surrounded by sun terraces and cabanas and enjoy the only beachfront access at any hotel in the city. 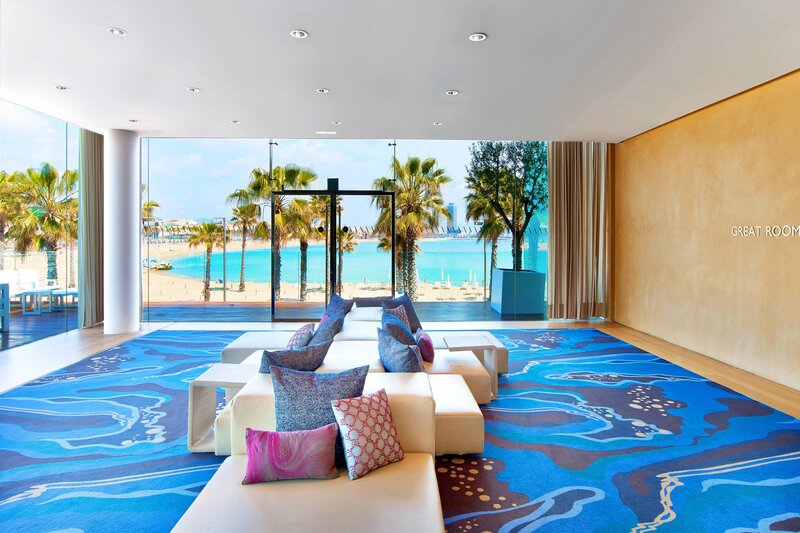 W Barcelona sets the scene with the new look of our most iconic suites. The New Extreme WOW Suite celebrates the night time atmosphere of Barcelona, the colour palette deriving from the dark blues, bronzes, warm golds and deep greys of the city at night. The WOW Suite reflects the magical atmosphere created by the Sun setting at the beach, reflected by the sunset palette of the room. Sail around the world on a perfect culinary journey at our restaurants and bars. Satisfy your cravings and explore new flavours. 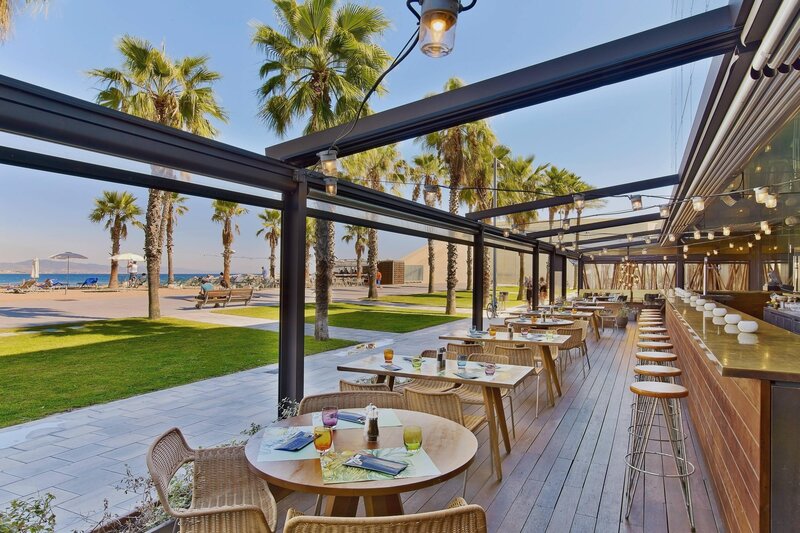 Enjoy innovative Burgers & Cocktails at SALT Restaurant, right on the beach. Get glamorous on our 26th-floor hotspot at ECLIPSE rooftop bar, or make your way down to our signature Living Room to find WAVE & W LOUNGE for a cocktail (or two). Every Sunday during the winter months, treat yourself to a feast and recover from a night of revelry with RETOX. Spoil your palate and indulge in an overflowing selection of brunch dishes. Designed by world-renowned architect Ricardo Bofill, W Barcelona’s iconic building now shapes the skyline of the city. Located on the beachfront along the famous Barceloneta boardwalk, each room boasts panoramic views over the Mediterranean and city of Barcelona. Escape to where sea and beach views are endless. 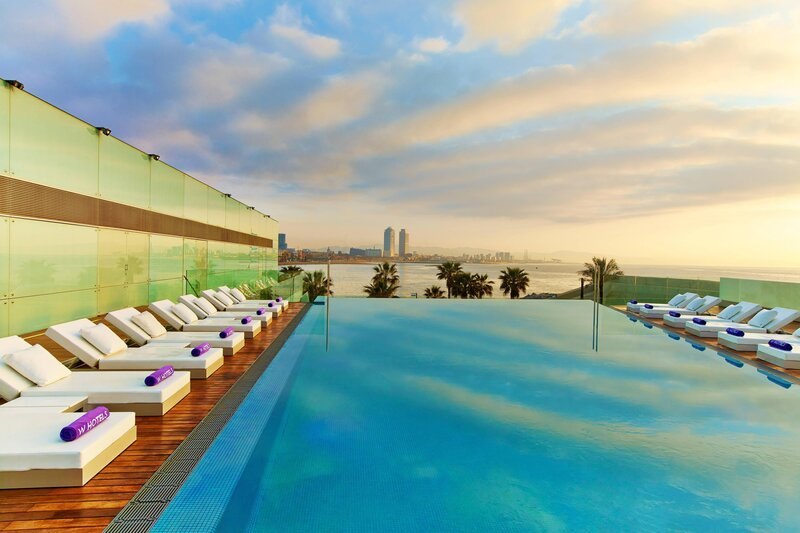 Boost your stay at W Barcelona. Make one WOW Cabana yours for one day. Reserve and soak in the Mediterranean with this private Cabana. Innovative burgers & designed cocktails. Enjoy all this overlooking the beach from the expansive terrace and allow the endlessly clear blue Mediterranean set the backdrop for an unforgettable day, or night. Make a toast, or host an unforgettable meeting. 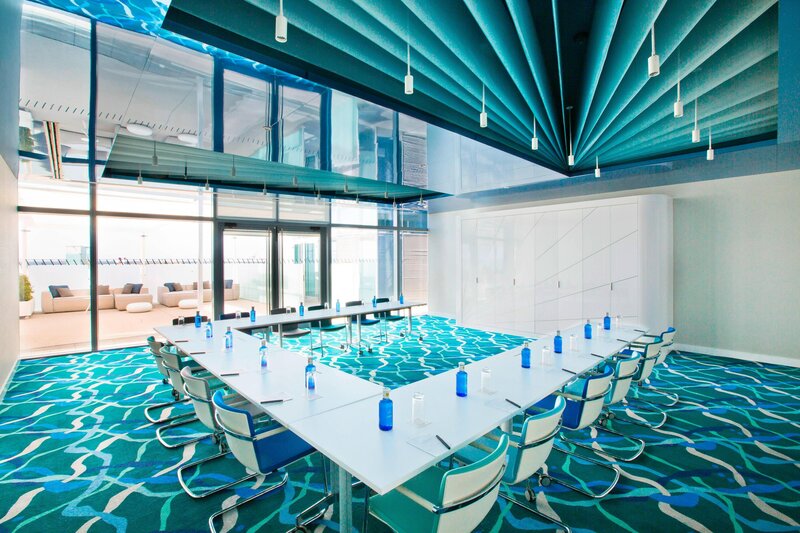 W Barcelona has 6.800 square metres (73.194 square feet) of meeting space to accommodate a small gathering or a large group, whether for business or celebrating. 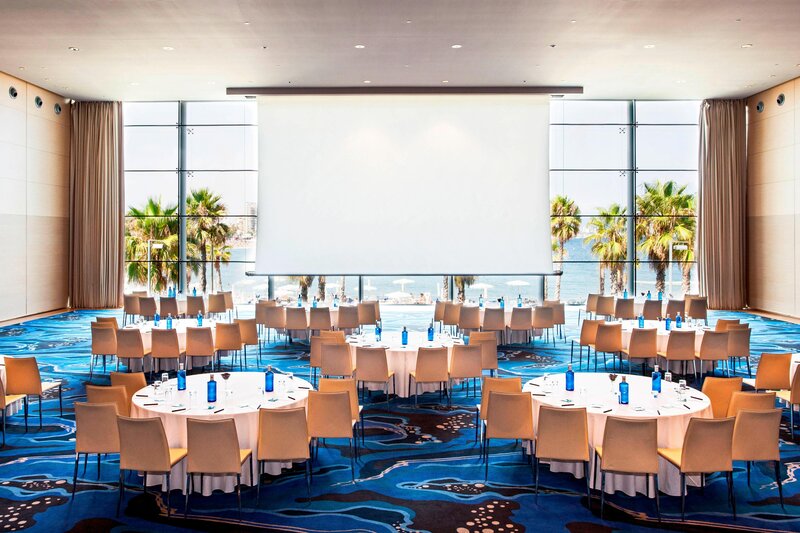 With options of meeting rooms awash with natural light and spectacular views and a range of outdoor spaces, we have something for every event, whatever it may be. 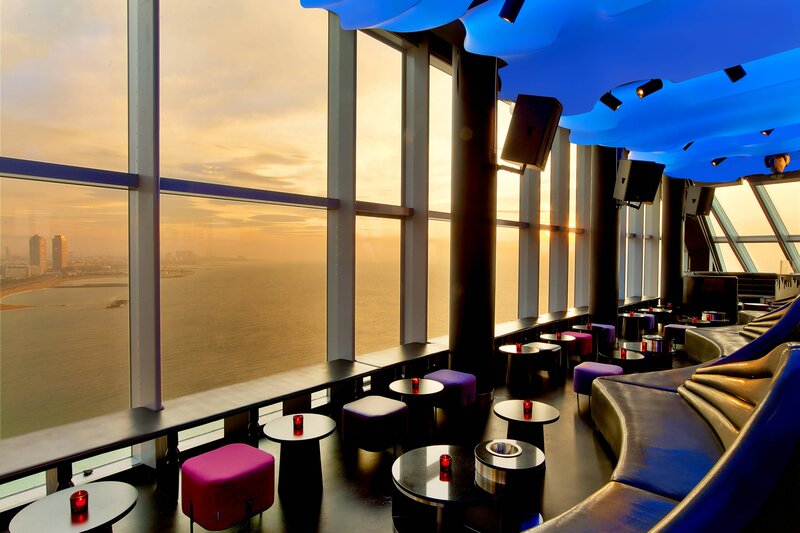 WED YOUR WAY at W Barcelona. Leave the traditional behind with our unique wedding proposals, designed for the most daring brides and grooms. Enjoy your special day in our fabulous spaces, which are adaptable to any style or size of wedding. A perfect evening reception in a privileged location? A flavoursome banquet in a modern atmosphere? A happy ceremony next to the beach? Everything is possible. Whatever you want, whenever you want it. Escape to where sea and beach views are endless. 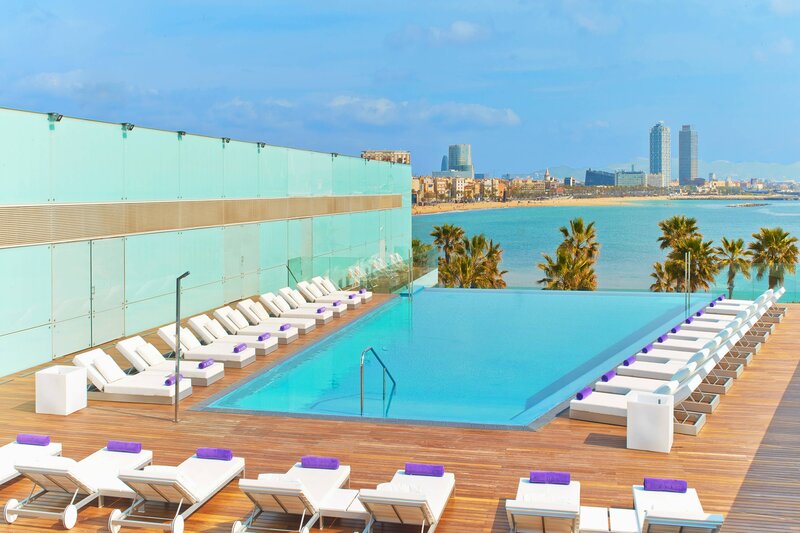 Our private infinity pool, Sun Deck, is a peaceful retreat that’s just steps from the gym and spa so you can lounge to the sounds of the Barcelona breeze, and nothing else.